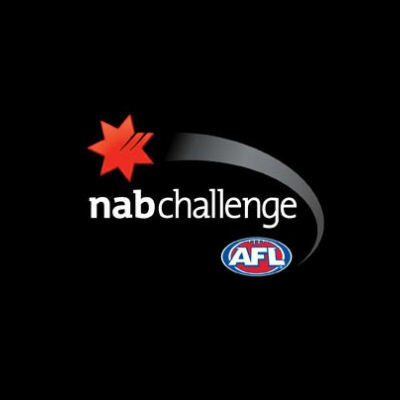 NAB Challenge squads for the first weekend of 2015. 1. Luke McGuane, 4. James Aish, 5. Mitch Robinson, 6. Josh Green, 7. Jed Adcock, 8. Rohan Bewick, 9. Dayne Beams, 10. Daniel Rich, 14. Brent Staker, 15. Dayne Zorko, 17. Claye Beams, 18. Nicholas Robertson, 21. Daniel Merrett, 22. Marco Paparone, 23. Matthew Leuenberger, 25. Daniel McStay, 26. Tom Cutler, 27. Darcy Gardiner, 28. Lewis Taylor, 29. Jaden McGrath, 30. Jack Redden, 31. Harris Andrews, 32. Sam Mayes, 33. Michael Close, 35. Ryan Lester, 38. Tom Rockliff, 32. Justin Clarke, 44. Archie Smith, 47. Zac O’Brien. 3. Jack Steven, 4. Eli Templeton, 5. Shane Savage, 6. Seb Ross, 8. Blake Acres, 9. Tommy Lee, 11. Leigh Montagna, 14. Jarryn Geary, 15. Jack Billings, 16. Jack Newnes, 17. Dylan Roberton, 18. Billy Longer, 20. David Armitage, 21. Luke Delaney, 22. Farren Ray, 24. Sean Dempster, 25. Sam Fisher, 26. Tom Curren, 27. Josh Bruce, 28. Tim Membrey, 32. Paddy McCartin, 33. Hugh Goddard, 35. Josh Saunders, 37. Jack Lonie, 38. Ahmed Saad, 39. Cameron Shenton. 40, Jack Sinclair. 44, Maverick Weller, 45. Jason Holmes. 2. Dylan Grimes, 5. Brandon Ellis, 6. Shaun Grigg, 10. Shane Edwards, 11. Jake Batchelor, 12. David Astbury, 13. Ricky Petterd, 15. Chris Knights, 16. Shaun Hampson, 22. Nathan Gordon, 26. Anthony Miles, 27. Sam Lloyd, 28. Taylor Hunt, 29. Ty Vickery, 30. Reece Conca, 31. Nick Vlastuin, 34. Liam McBean, 35. Ben Lennon, 36. Matt McDonough, 37. Connor Menadue, 38. Steve Morris, 39. Nathan Drummond, 40. Daniel Butler, 42. Reece McKenzie, 43. Todd Elton, 44. Matt Arnot, 45. Jayden Short, 46. Jason Castagna, 48. Kane Lambert. 2. Zac Smith, 5. Jarrod Harbrow, 6. Alex Sexton, 7. Nick Malceski,11. Harley Bennell, 13. Andrew Boston, 14. Mitch Hallahan, 15. Daniel Gorringe, 18. Trent McKenzie, 19. Tom Lynch, 20. Henry Schade, 21. Jack Leslie, 24. David Swallow, 25. Danny Stanley, 26. Matthew Shaw, 28. Kade Kolodjashnij, 31. Keegan Brooksby, 32. Brandon Matera, 35. Michael Rischitelli, 36. Greg Broughton, 37. Jesse Lonergan, 39. Louis Herbert, 40. Sean Lemmens, 41. Jarrod Garlett, 42. Adam Saad, 43. Jarred Ellis, 44. Touk Miller, 46. Josh Hall, 48. Seb Tape. 2. Billie Smedts, 3. Jimmy Bartel, 4. Andrew Mackie, 5. Nakia Cockatoo, 7. Harry Taylor, 8. Jake Kolodjashnij, 9. James Kelly, 11. Darcy Lang, 12. Sam Blease, 13. Tom Lonergan, 15. Dean Gore, 16. Dawson Simpson, 19. Mitch Clark, 21. Jordan Murdoch, 22. Mitch Duncan, 23. Josh Caddy, 24. Jed Bews, 26. Tom Hawkins, 27. Mathew Stokes, 28. Cory Gregson, 29. Cameron Guthrie, 31. Jordan Cunico, 32. Steven Motlop, 35. Jarrad Jansen, 37. Michael Luxford, 39. Shane Kersten, 42. Padraig Lucey, 44. Corey Enright, 46. Mark Blicavs. 1. James Podsiadly, 2. Brad Crouch, 4. Josh Jenkins, 7. Nathan van Berlo, 8. Mitch Grigg, 9. Rory Sloane, 10. Matthew Jaensch, 11. Matthew Wright, 12. Daniel Talia, 13. Taylor Walker, 15. Kyle Hartigan, 16. Luke Brown, 17. Sam Kerridge, 18. Eddie Betts, 20. Sam Siggins, 23. Charlie Cameron, 25. Kyle Cheney, 27. Tom Lynch, 28. Cameron Ellis-Yolmen, 29. Rory Laird, 31. Jarryd Lyons, 33. Brodie Smith, 35. Harrison Wigg, 36. Brodie Martin, 40. Luke Lowden, 43. Reilly O’Brien, 45. Ricky Henderson, 46. Keenan Ramsey, 47. Jake Kelly. 1. Daniel Currie, 2. Brad McKenzie, 3. Ryan Bastinac, 4. Shaun Higgins, 5. Ben Jacobs, 7. Jack Ziebell, 8. Daniel Wells, 9. Andrew Swallow, 10. Ben Cunnington, 12. Lindsay Thomas, 14. Trent Dumont, 15. Nick Dal Santo, 18. Shaun Atley, 20. Drew Petrie, 21. Luke McDonald, 22. Todd Goldstein, 24. Sam Durdin, 25. Robbie Tarrant, 26. Daniel Nielson, 28. Robin Nahas, 29. Brent Harvey, 30. Jarrad Waite, 34. Jamie Macmillan, 36. Joel Tippett, 37. Will Fordham, 38. Majak Daw, 42. Scott McMahon, 43. Sam Gibson, 44. Max Warren. Well interestingly enough, I was actually in the wrong thread… I thought I clicked on the previous winners article. Ignore me.